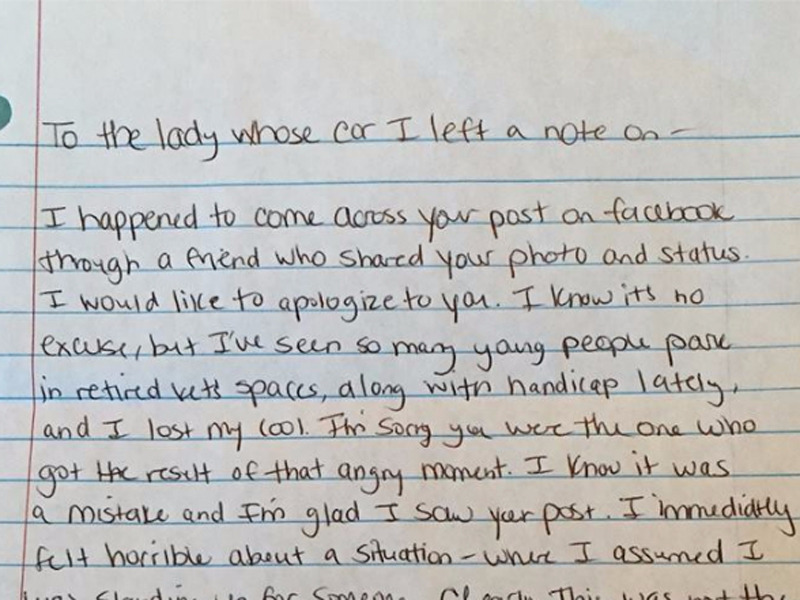 Facebook/Rebecca Landis HayesThe apology note written to Rebecca Hayes. Last week, US Navy veteran Rebecca Landis Hayes parked her car in a veterans-only space at the grocery store. 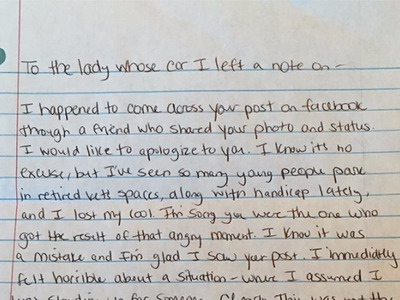 When she finished shopping, she found a sexist note on her windshield that read, “This parking is for veterans, lady. Learn to read and have some respect.” Hayes shared a photo of the letter on Facebook, where it was shared more than 12,000 times.